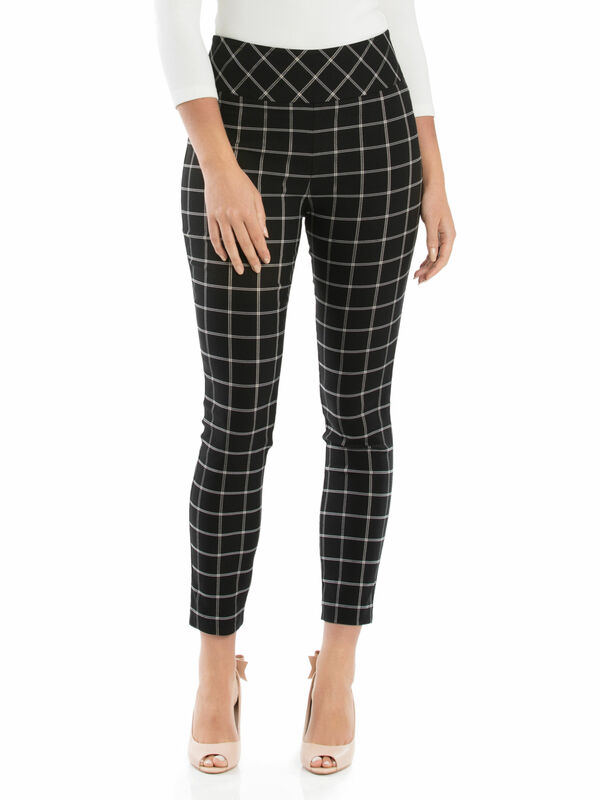 Lulu Check Pants https://www.review-australia.com/au/lulu-check-pants-black/RE19PA037.REBLK009.html So stretchy that they can be slipped on like a legging but tailored enough that you can wear them for work, these Lulu Check Pants showcase where comfort meets style. The bold white check is a classic design that you can wear over and over again: layer it with an oversized shirt or wear with a pretty blouse. 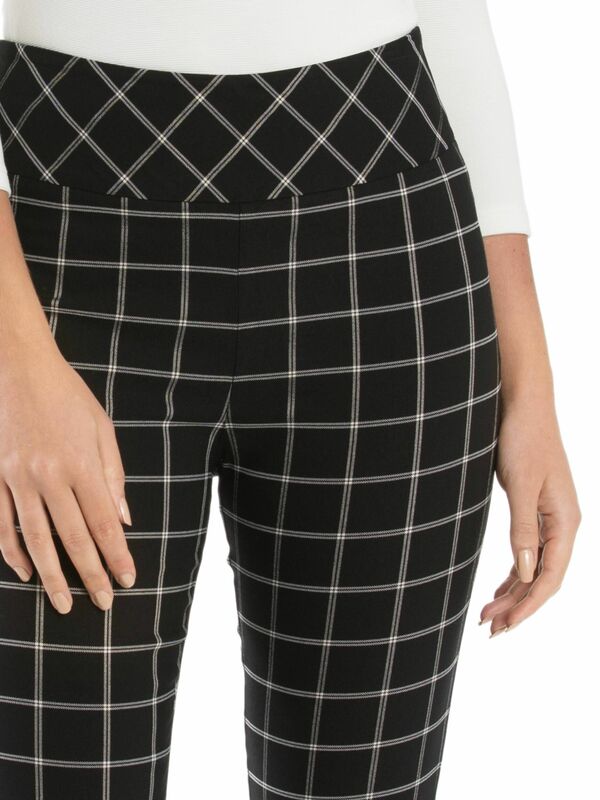 Lulu Check Pants is rated 4.8 out of 5 by 8. 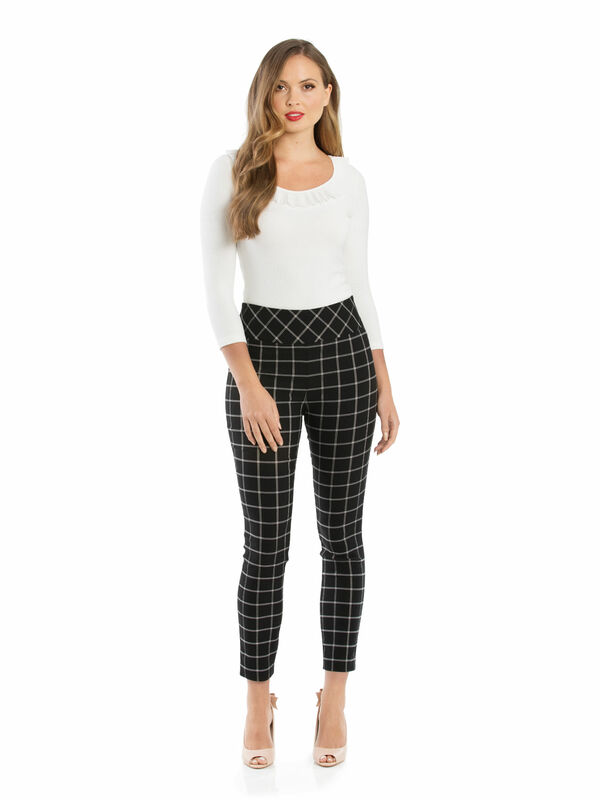 Rated 5 out of 5 by jenniered from Most comfortable pants I didnt think these pants would look any good on me but after seeing so many pics of other ladies wearing them decided to give them a try. They are fabulous! So comfortable and flattering. Would absolutely recommend them. Its like wearing your favourite pair of gym tights but they look heaps better :) I found them true to size and the stretch in the fabric means they fit well but move with your body. Rated 4 out of 5 by MegsReviewReview from Great pants These are fantastic. Flattering and well fitting. I'm kind of a size 9 in Review and tried both 8 and 10. I ended up keeping both sizes because my weight fluctuates a little and the 10 is great now but will be too big as soon as I change again, and the 8 looks so flattering but just a touch too tight for comfort. I deducted one star because I don't find the fabric very comfortable. Rated 5 out of 5 by Parra1 from Great fit - so flattering I normally only buy plain coloured pants, but the sales lady bought in these to try. I thought I would hate them, but as soon as I put them on I LOVED them. They are so flattering and I always get so many comments when I wear them. Rated 5 out of 5 by Susie83 from Awesome fit These are my new favourite pants! I was doubtful about their fit, but they have a bit of stretch so they are a little forgiving. They are so cute and I get compliments every time I wear them. Love them! Rated 5 out of 5 by AshleighH from Stylish and in Love It was on my mind for some time whether to get these and I'm so glad I did. They are the COMFIEST pants I own and so stylish. 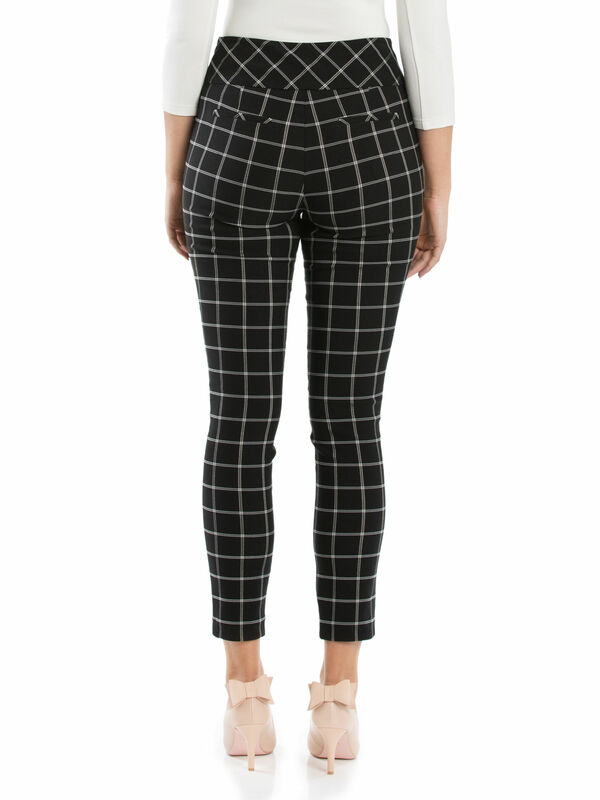 I get many compliments every time I wear these office to dinner pants! Rated 5 out of 5 by Daina from Gorgeous Pants I bought these pants several weeks ago and they are a lovely, flattering fit. The stretch fabric is lovely and they are gorgeous pants to wear.